The countrified brother to its New York counterpart, AFROPUNK will “present” its second annual Carnival of Consciousness in Atlanta on October 14-15. 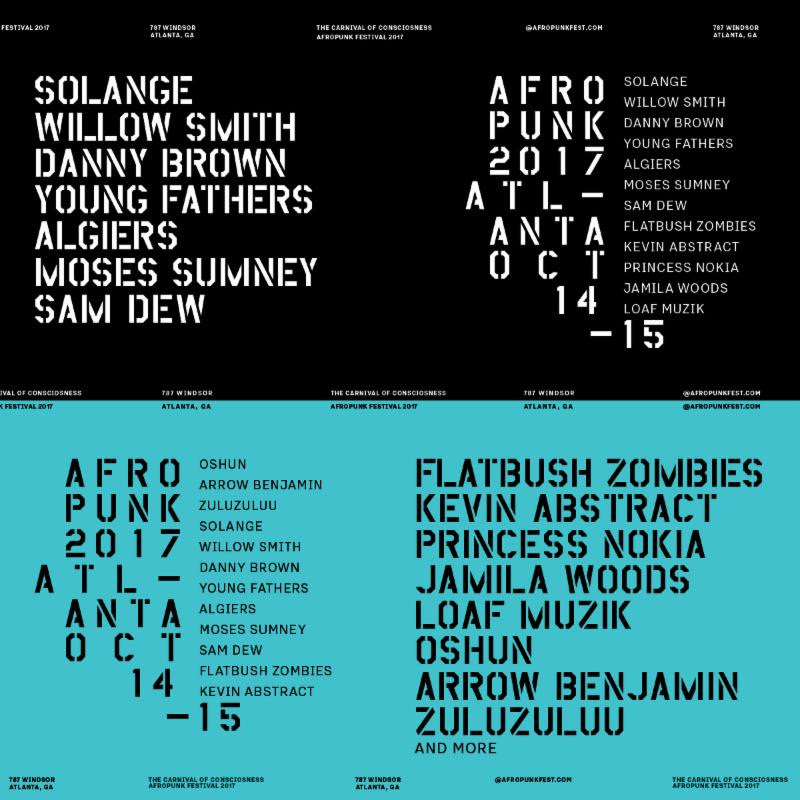 With Brooklyn’s festival being headlined by the likes of Sampha, Thundercat, SZA, and Kaytranada among others, Atlanta will play host to Solange, Willow Smith, Danny Brown, Flatbush ZOMBiES, Jamila Woods and several others. Adhering to an all-inclusive code (No Sexism, No Racism, No Ableism, No Ageism, No Homophobia, No Fatphobia, No Transphobia), tickets — which start at a relatively low-priced $40 (remember when AFROPUNK was free? Good times) — are available now.